Joey Scandizzo is a three time Hairdresser Of The Year, so he knows his stuff when it comes to styling, colouring and creating beautiful hairstyles. He also is busy running 3 salons, is ELEVEN Australia's Co-Creative Director and is the genius behind the make overs on Beauty And The Geek Australia. He's also styled the likes of Asher Keddie, Jennifer Hawkins, Megan Gale and Bec Judd. Here I quizzed him on what products you should spend on, the hair trends of 2015 and the product that he can't live without. If you're on a budget, what hair products should you spend on and which ones should you save on? A good Shampoo and Conditioner always. It's the foundation of good hair, you need to keep your scalp healthy and your hair hydrated. Being a mum, spending 30 minutes a day on my hair isn't practical. What hairstyles would you suggest that are quick and easy, with little to no effort? A long bob is always good, it’s a modern length to have at the moment and if you keep the layers long and let it dry naturally after applying the right styling product, it looks great with natural texture and movement. How often should you get your haircut? It depends on your hair cut, if it is short you need to keep shape in there, so every 5 or 6 weeks is perfect. If your hair is long, you can stretch it out to 6 to 8 weeks. How often should you use a detox shampoo? If you use a lot of heavy styling products, twice a week is best but if you wear your hair more natural, once a week or every third or fourth time you wash it to help refresh your hair and scalp, it’s great to pair it with a hydrating treatment at the same time. What will be the biggest hair trends for 2015? Definitely chunkier heavier layers, slightly Mad Max inspired, hair is stepping away from looking too ‘pretty’ and a little dirtier without getting too grungy. Hair is getting an edge to it with stronger shapes and colours, people are open to a dramatic change which is exciting! What is one product that you can't live without? 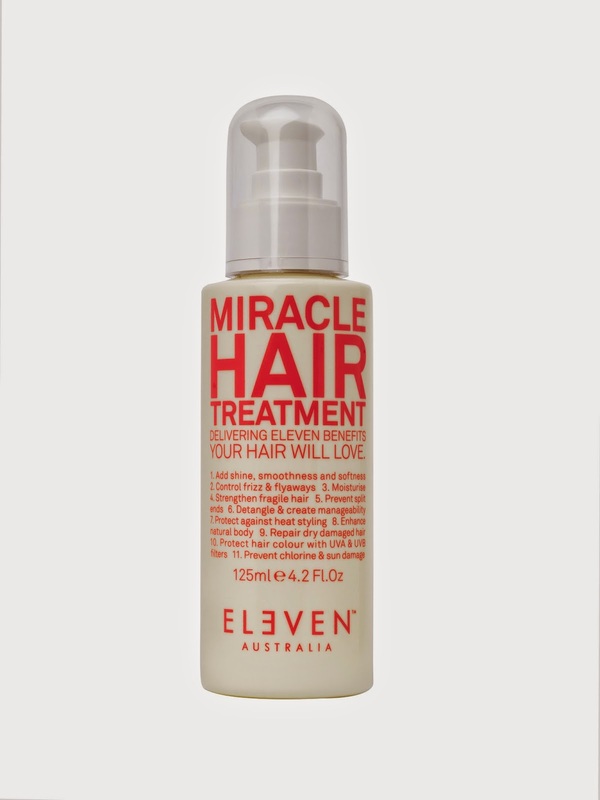 ELEVEN Australia's "Miracle Hair Treatment." It’s the perfect product to style any hair, it smooths hair out, takes away frizz and protects it from heat and environmental damage….I can’t live without it and neither can my clients. Hopefully after reading this, you'll feel inspired to try a new hairstyle or even a new cut!! Thanks to Joey for answering my questions. 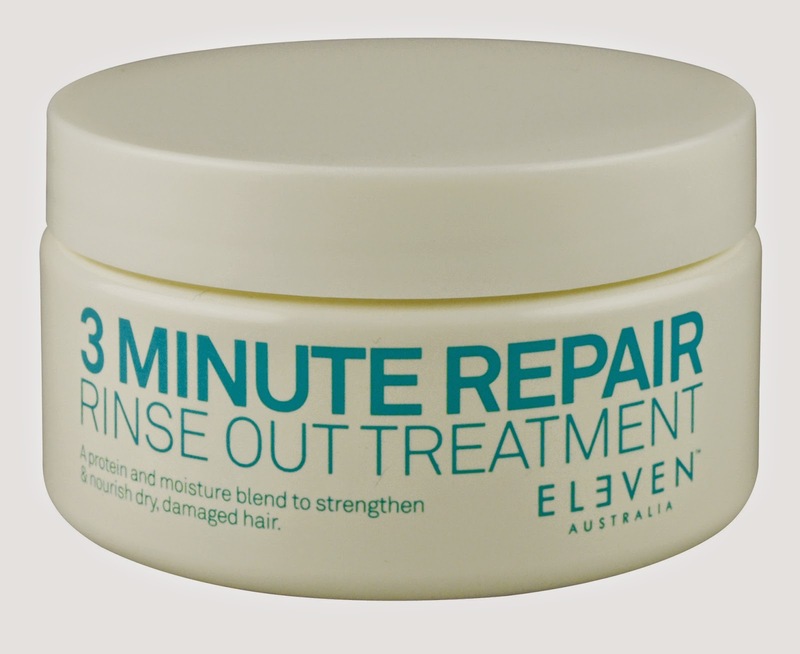 If you're interested in the ELEVEN Australia products, you can find out more about them here. If you only try one product, then it should be the Miracle Hair Treatment. It's a wonderful product that both styles your hair and prevents damage. It's an all in one product and smells so good.